University of Virginia researchers who are looking for potential collaborators will have a much easier search, thanks to a new program launched today by the Office of the Vice President for Research. Called 3 Cavaliers, or 3C, the program will help faculty members connect and pursue new research with the potential for significant external funding. 3C is a connection point in a rapid seed funding program designed to enable creative, collaborative and consequential research. The program, created in partnership with all 11 of UVA’s schools, aims to foster a collaborative research culture through early stage funding of multidisciplinary teams pursuing new ideas. 3C provides financial support and encouragement for groups of three faculty members from at least two disparate disciplines, located in different units or schools, to team up, formulate and explore creative, high-risk, high-payoff research ideas that might not yet be ready for more traditional funding. The program is accessible via a web application that contains a robust faculty expertise database, with faculty profiles featuring live data feeds and up-to-date, revisable information on teaching, sponsored awards and publications. Additionally, 3C shares a database of projects seeking research partners and/or funding. Seed funding of $60,000 and $15,000 is available for viable projects. Click here to learn more. With funding from the Board of Visitors’ Strategic Investment Fund, 3 Cavaliers aligns with the University’s strategic priority to advance research, empower faculty creativity and significantly advance UVA’s interdisciplinary research culture. The Strategic Investment Fund supports multidisciplinary and multi-school research in an effort to diversify and grow the University’s research portfolio from multiple sources for societally important research with contributions from the sciences, medicine, engineering, the humanities, social sciences and the arts. 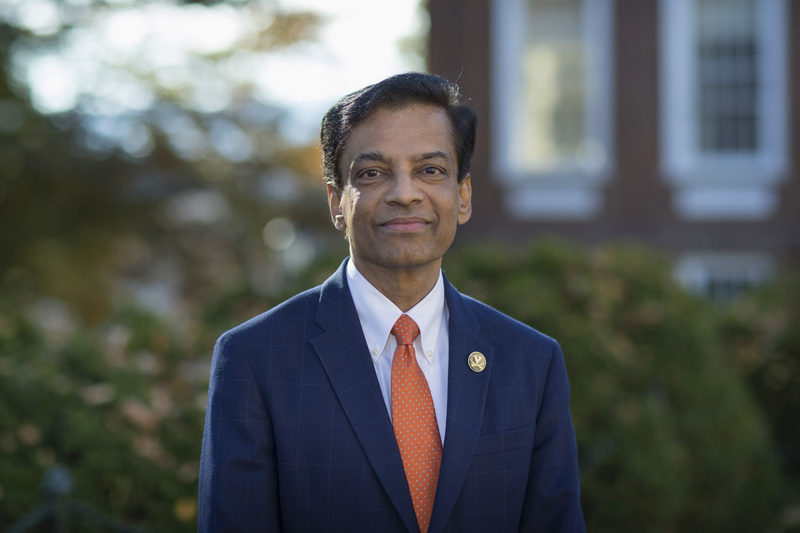 “The University of Virginia is committed to proactive innovation and world-class scholarship, looking ahead to where new collaborative opportunities lie and enabling ideas to grow and flourish,” Ramasubramanian said. Faculty profiles and project descriptions can be viewed or submitted through the web application by logging in through Netbadge. Projects that ultimately earn seed funding will be published on a public-facing page. Faculty are encouraged to log in to the web application to view and edit their profiles. Project submission is open until Sept. 10. Funded projects will be announced Sept. 24, with funds immediately available. The 3C web application, including the faculty collaborator database, will be instituted for future rounds of 3C and for enabling similar efforts by other units at the University.